The Karakalpak language includes additional letters compared to Russian. The thirty or more different Turkic languages can be classified into four main geographical groups: south-western or Oghuz, north-western or Qipchaq, south eastern or Uighur-Chaghatay, and north-eastern or Siberian. The Chuvash language of the Volga is classified in its own separate group. The Karakalpak language belongs to the north-western group, the Qipchaq family of languages. It sits alongside Noghay, Qazaq, Kalmuk, Tatar, Bashkir, Kyrgyz, and Altai. The Uzbek language belongs to the separate south-eastern or Uighur-Chaghatay group. The Qipchaq languages can be divided in turn into three geographical sub-groups: Ponto-Caspian, Uralian and Aralo-Caspian. The latter includes Karakalpak, Qazaq, Kyrgyz, and Noghay. The Karakalpak language is closest to Qazaq. There is of course a close historical relationship between the Karakalpaks and the Qazaqs of the Lesser Horde. In the early 18th century the Lower Karakalpaks were actually ruled by a Qazaq Khan. 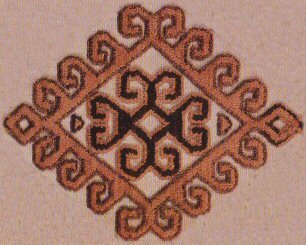 As with the other Islamic Turkic peoples, the Karakalpaks traditionally used Arabic script as a writing system and continued with this until about 1928. In 1925 the Russians introduced a Latin alphabet, based on the standard Latin alphabet plus a few extra letters and diacritics. This was used until 1940, after which there was a rapid shift to Cyrillic script. As no unified Cyrillic alphabet existed for all of the Russian Central Asian States each national language made its own adaptations. The Karakalpak alphabet had several additional letters to the normal Cyrillic alphabet. The letters ә, ң, ө, ў and ү were introduced in 1945. A new Karakalpak Latin alphabet was introduced in February 1994 and a major revision of it took place in 1995 bringing it closer to the new Uzbek Latin alphabet. To overcome problems in typography the Karakalpaks dealt with certain letters by creating shortcuts to them - inserting an apostrophe after certain normal vowels or consonants and thus avoiding the use of diacritics. For example the vowel ө, which sounds like the German ö became o'. This new alphabet offers a reasonably simple and practical transliteration system for the Anglicizing of Karakalpak. All of the letters are to be found on a standard QWERTY keyboard with the exception of the dotless i which is the Cyrillic ы and this can be found under insert symbol in MS Word. This system is now widely used by educated Karakalpaks, especially on the internet, and has been employed by both No'kis museums. We use it consistently for all Karakalpak words throughout this website. This is also fairly close to the original 1971 GOST standard - for reference click here. For comparison we also give a more scientific Latin equivalent based on the internationally recognized standard ISO-9. Note that the letters �, �, �, �, and � do not appear in genuine Karakalpak words. For a review of the 1995 Latin system see Dospanov, 2004. Matters were complicated on 8 October 2009 when the Joqarg'ı Ken'es introduced a revised and more cumbersome Latin alphabet. This is generally the same as the 1995 alphabet with five main exceptions: the dotless i is replaced by i'; o, o' and e at the start of Karakalpak words are replaced by wo, wo' and ye (which is how they are generally pronounced); and in loan words the rarely occurring ts is replaced by c. To complicate matters, traditional Karakalpak words are treated differently from loan words (for example, esik should now become yesik but ekonomika does not change). So far this new alphabet has been largely ignored by the Karakalpaks themselves and has not even been adopted by the few local newspapers that are published in the Latin alphabet. We have therefore decided against adopting this new system at this early stage on the basis that a language is defined by what its speakers use in practice rather than by a diktat proscribed by politicians that most educated Karakalpaks are still largely unaware of. Despite the move towards the use of the Latin script, the majority of Karakalpak scholarly works are still written in Cyrillic. Much of the early research on Karakalpak culture was conducted by Russian scholars and many Karakalpak terms have passed into general usage in a Romanized version of the Russian Cyrillic word. An example would be saukele instead of the Karakalpak spelling sa'wkele. We have therefore included a column showing the Russian Cyrillic spellings of Karakalpak words. The word order is generally subject - object - verb. Karakalpak is agglutinative, with grammatical functions indicated by adding various suffixes to a fixed stem. Like all Turkic languages, Karakalpak has two classes of vowels: the front vowels, pronounced at the front of the mouth such as e, i, o' and u', and the back vowels, pronounced at the back of the mouth such as a, ı, o, u. Traditional Turkic words must obey the rule of vowel harmony, the vowels of the suffixes harmonising with the vowels of the noun or verb stem. Words are normally stressed on the final syllable. To give a better appreciation of Karakalpak pronunciation we have added lists of words with sound files attached to them at the end of most of the pages relating to costume and yurts. We also provide a Karakalpak Phrase Book with the words spoken by a Karakalpak. 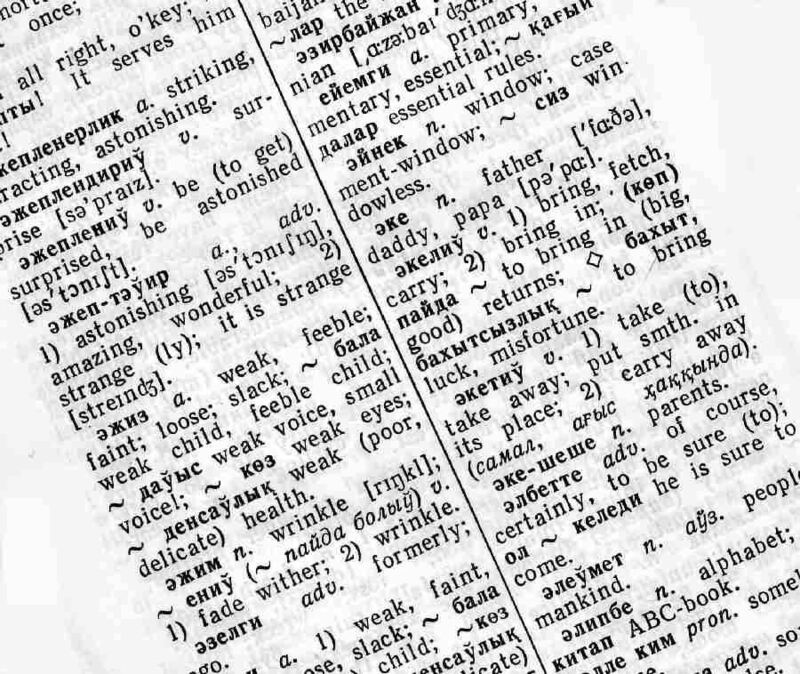 See Glossary for a list of Karakalpak words. This page was last updated on 7 February 2012.